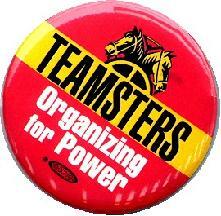 First you should contact a Teamsters Local Union in your area. Generally, in order to file a petition with the National Labor Relations Board (NLRB), the petition must be accompanied by evidence demonstrating that the petition has the support of at least 30% of your fellow employees. (Join the Teamsters- see authorization form). After you gather at least 30% of the signatures required you can petition the NLRB for an election, at which time it would require 51% of the eligible voters that are present to vote on union representation. The NLRB normally excludes from voting eligibility all managers, supervisors, and guards. (although guards may be included in their own bargaining unit). Professional employees are excluded from units of non-professional employees unless professionals vote in a NLRB election to be included with non-professionals. The law protects you from discharge or discipline because of your interest in the Teamsters. Section 8(a) (3) of the Act makes it unlawful for your employer to discriminate against you in regard to tenure or any other condition of employment in order to discourage your interest in the Teamsters.